Fridays mean Fish 'n Chips at Kaya's in Almancil! Fresh Cod in homemade beer batter and homemade chips, served with Tartar Sauce. Yes, the full works! 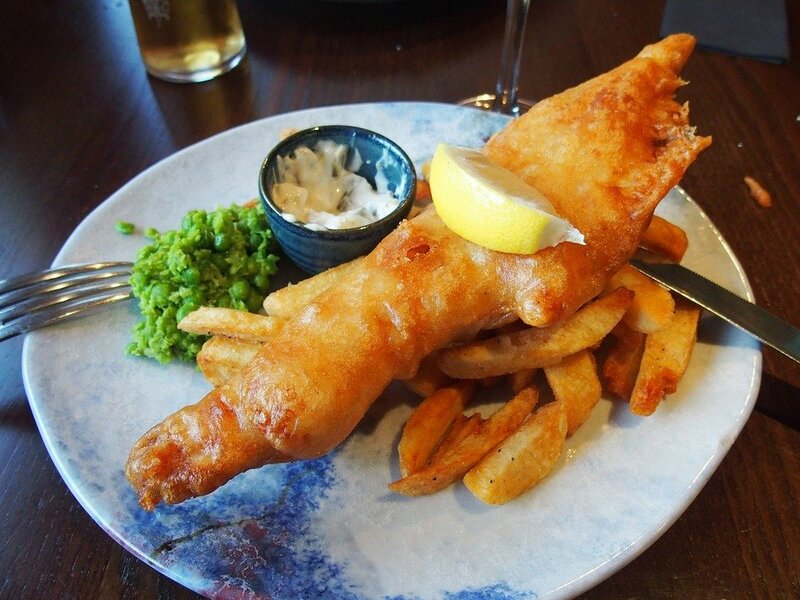 Fish 'n Chips at Kaya's is only available on Fridays, for lunch and dinner (at dinner only during August). Call Kaya's to reserve your portion! Tel: (+351) 289 394 630. Kaya's is a great family run restaurant in Almancil. There is a spacious and welcoming inside dining area as well as a lovely outside terrace for summer days. Kaya's serves up tasty home-cooked food that ticks the fresh, delicious and comfort food boxes.